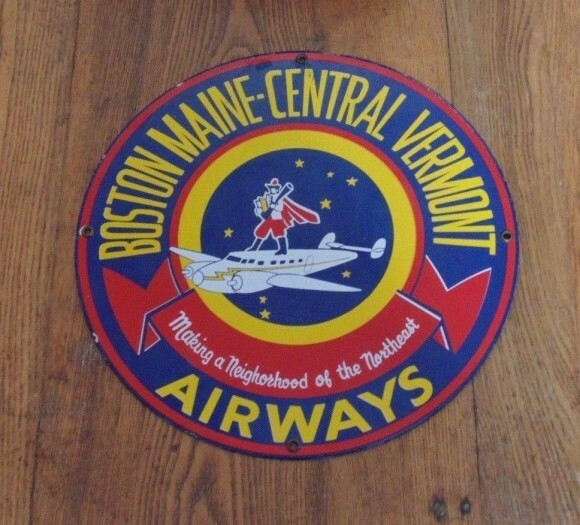 This sign is for Boston Main Central Vermont Airways. The sign’s colors are yellow, red, blue, and white. The text on the sign reads: Boston Maine-Central Vermont Airways making a neighborhood of the Northeast. The sign shows a man standing on a plane with stars and text surrounding.